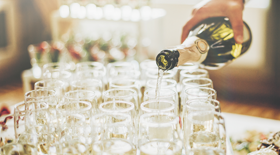 The Morgan Family has lived, laughed, and loved on their hill-top estate since 2002, all the while enjoying celebrations of all kinds with friends and family, from family BBQ’s, company super bowl parties, baby showers, holiday parties, and more. Five years ago, the Morgans spent over a year getting ready for the biggest event yet — the wedding of their only daughter, Laura. It proved to be an event to remember leaving everyone talking about. That is when they decided they would share their estate with others helping them create beautiful, lasting memories. The estate was inspired and built by a mother and father’s dream to give their darling daughter the magical day she’s been dreaming of her entire life. The Morgan family wants to share that experience with you. 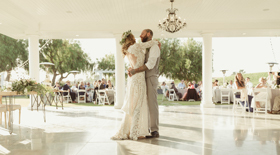 With an elegant ceremony site, unique cocktail hour on the veranda, and a beautifully designed covered reception area, Morgan Hill Estate provides the perfect backdrop to your unique wine country wedding.